Lei Magazine writer Coco Zingaro and photographer Bryce Johnson stopped by the bakery to taste some of Ko Bakery's delicious creations and snap some photos for the latest issue of the magazine. Lei features Hawaii's best art, culture, food, and fashion. And for the magazine's fall/winter edition, Zingaro and Johnson interviewed Ko's owners, Chris Spinosa and Morris Wise for some insights on our unique tropical flavors, wholly original recipes, and truly Kauai-style creations. Check out the article at: Lei Magazine, "Sweet Sensations"
What makes these little dreams even sweeter is that, not only are they perfectly boxed and bowed, but they're also a dollar off if you don't wait until the last minute! The holidays will soon be upon us again. 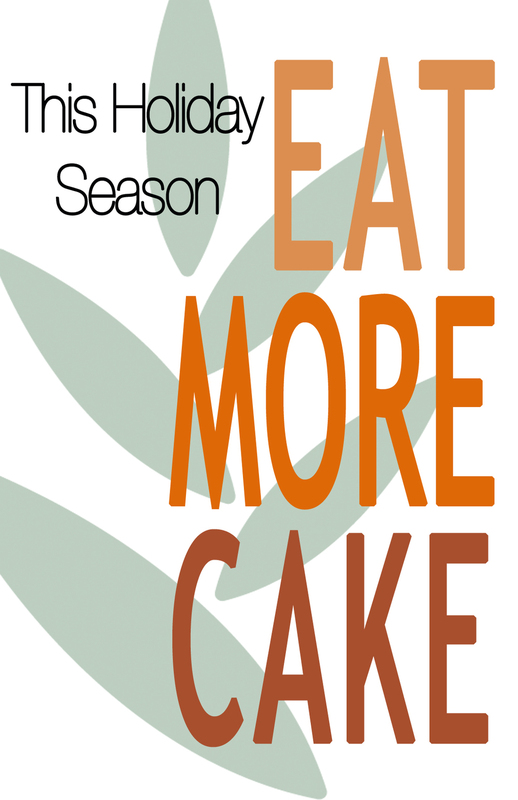 This season, Ko Bakery is offering 10% off of cakes and cheesecakes ordered before November 12. 10% off is such a good reason to EAT MORE CAKE! Join Hula Baby and Ko Bakery Saturday, April 5, from 9:30AM to 3:00PM at Williams Sonoma's Artisan Producer Event at Ala Moana Center. We'll be bringing our unique Kauai-made products to Oahu and showing off some of our favorite flavors of paradise from both our Hula Baby and Ko Bakery lines. Williams Sonoma's Artisans Markets are events that bring local, artisanal products into local Williams Sonoma stores for the day. These special events give local producers like Hula Baby and Ko Bakery the opportunity share samples of their hand-made creations and educate shoppers about their products. Come taste what local and regional Hawaii producers are creating for you! You won't want to miss today's cooking demonstration at this evening's Kukui'ula Culinary Market. Our own master bakers Chris Spinosa and Morris Wise will be demonstrating how to make silky and delicious Meyer lemon cheesecakes with Hula Baby Biscotti crust. Juicy Meyer lemons are very much in season right now on Kauai, and they give our Kauai vanilla cheesecakes a wonderfully tangy citrus flair. In addition to making the cheesecake, Morris and Chris will also show you how to use our very own Hula Baby Biscotti crumb to make a crust for the cheesecakes and other kinds of cakes and pies. We'll be offering both the Kauai Honey Biscotti Crumb and the Chococomacs Biscotti Crumb for sale at our market table so you can try your hand at making the cheesecake recipe or come up with tropical treats of your own. Chris and Morris will have cheesecake samples during the demo, and we will be selling a limited number of mini Meyer Lemon Cheesecakes at our market table. During the demo, Morris and Chris will also show you how you can pair these cheesecakes with some of the amazing Kauai-made Monkey Pod Jams flavors like Cara Cara Orange Marmalade. 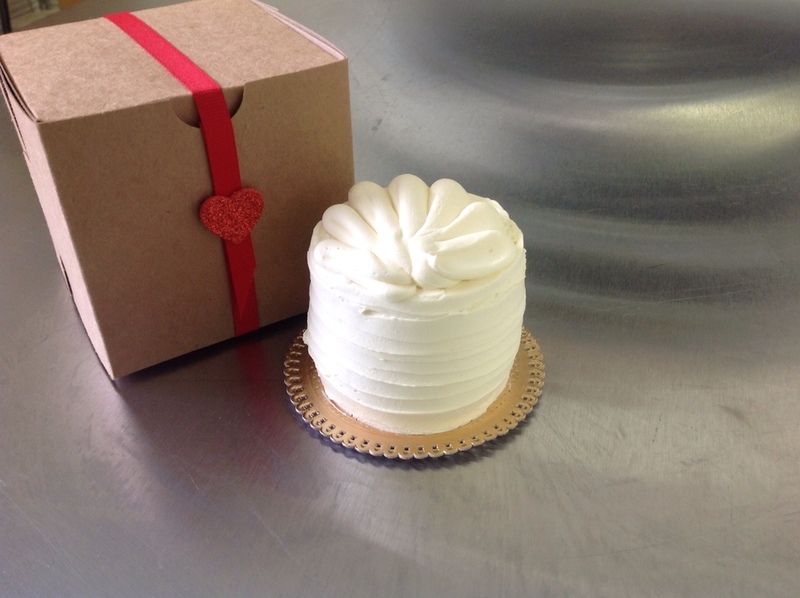 Nothing says "I Love You" like a little cake. The perfect gift for your sweetheart. And they are only $7, a very sweet price. So no matter how many sweethearts you may need gifts for, these mini cakes are just the ticket. Just give us a call at (800) 605-0668 or send us a message via this LINK. We'll bake them, wrap them, and deliver them just in time for Valentine's Day. We're so proud to start 2014 off by introducing the newest Hula Baby flavor of paradise: Chocolate Coconutter. You may recall that we introduced Coconutter, our delicious biscotti blend of coconut, peanuts, and peanut butter back in August. It was such a hit, we decided to add some high quality chocolate chips to the mix and an amazing new flavor was born. That classic combination of chocolate and peanut butter gets a little coconut to add an unlikely but sublime tropical twist. We've added Chocolate Coconutter to our product offerings at the KCC market on Saturdays and the Kukui'ula market on Wednesdays. Stop by and give it a try. If you aren't lucky enough to be on Kauai, we've also added it to the online shop where you can have it shipped to you or anyone in the US. Holiday gift shopping doesn't have be all crowds, lines, traffic jams, and hassles. This week's Holiday Market and Craft Fair is the perfect opportunity to relax, do all your shopping, and give all your friends and family amazing Kauai-made crafts and treats. What better gifts than the fruit of Kauai's bounty produced by local vendors and farmers?! This special holiday event runs from 9:30am to 3:00pm on Saturday at the usual spot at Kauai Community College. Hula Baby and Ko Bakery will be featuring an extended selection of our usual Saturday offerings, as well as a whole host of specials so you can get the perfect flavor of paradise for each person on your list. Tonight at 7:30 our master Bakers, Chris Spinosa and Morris Wise, will make their television debut on channel OC16's "Cooking Hawaiian Style." The show is hosted by Hawaii's own Lanai Tabura, winner of the "Great Food Truck Race." On tonight's episode, Chris an Morris will be demonstrating how to make a chocolate Mele Mac cake with toasted buttercream frosting. This amazing cake brings together delicious chocolate cake, extraordinary buttercream frosting infused with coconut, and the delicious macadamia, toffee, and chocolate of Island Princess's Mele Mac candies. This cake is truly a flavor of paradise. After the show, pop over to cookinghawaiianstyle.com and pick up the recipe to try for yourself. The show airs again on February 27, and will be available online thereafter. You can always leave the baking to us and stop by KCC on Saturdays and Kukui'ula on Wednesdays for your favorite flavors of paradise. Of course, orders are always welcome at aloha@papaluaisland.com or (800) 605-0668. The Friday after Thanksgiving, leave all the crowds, lines, and stress of the holiday shopping frenzy behind. Join Hula Baby, Ko Bakery, and Monkey Pod Jam at the new Ha Coffee Bar in Lihue for shopping the civilized way. Sip your tea or esspresso and sample the delicious island inspired biscotti, granola, cookies from Hula Baby and Ko, and try out the tropical jams, jellies, and preserves by Monkey Pod Jam. Hula Baby, Ko, and Monkey Pod Jam will help you find the perfect Kauai-made gifts for everyone on your list. We'll help you select from the assortment of flavors, assemble your gift boxes, and wrap them, too! Don't miss the Ha Holiday Trunk Show Friday, September 29 from 5pm until 8 pm. 4180 Rice Street, Suite 101A in Lihue. We're so very proud to announce the debut of our newest flavor of paradise. 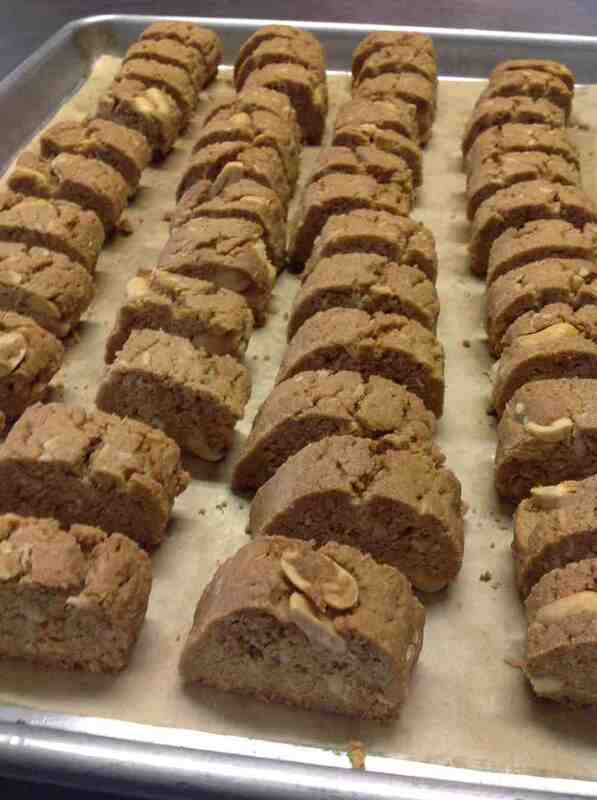 Our amazing Pumpkin Spice biscotti has arrived Just in time for the holiday season. Infused with pumpkin purée, pepitas (toasted pumpkin seeds), and pumpkin pie spices, each bite is a holiday celebration. You can get your hands on a bag at the weekly Wednesday and Saturday farmers markets on Kauai, and via our online shop. These crunchy delights make great gifts you'll want to send to everyone on your list. Don't forget to get a few bags of Pumpkin Spice biscotti for yourself, because this flavor of paradise is only available October through January. Island Butter Mint Biscotti is Back! At last, the fall has arrived and we've brought Hula Baby's Island Butter Mint biscotti back for the season. This autumn and winter favorite is a masterful combination of Kauai-grown fresh mint and buttery biscotti. Available October through January, Island Butter Mint is in production again, and available at the KCC and Kukui'ula farmers markets, and via our Online Shop. Omiyage is the Japanese tradition of gift giving. When traveling, it is custom in Japan to return with gifts for friends, family, and coworkers of something meaningful to and made in the place visited. But omiyage isn't just a souvenir. Rather, because space is at such a premium in most Japanese houses, it should be something small, consumable, and well presented. Ideally, omiyage should also be a gift that can be shared. Beautifully packaged foods, confections, and unique treats are common omiyage gifts. In Japan, it's easy to find perfect little packaged gifts for omiyage where ever you happen be. Outside Japan, it can be much more challenging. Hula Baby Biscotti and Ko Crisps have become favorite omiyage for Japanese visitors to Kauai. They are Kauai made, beautifully packaged, absolutely delicious, and just the right size for sharing. Omiyage is such a wonderful and considerate tradition. We feel like everyone should embrace it, no matter where they are from. Everyone should be able to enjoy the flavors of paradise, and that includes our vegan and gluten-free friends. Because so many people ask about glutenless and vegan options, we've added a version of our incredibly scrumptious Chococomacs biscotti that is both vegan and gluten-free. We've replaced the wheat flour used in our regular biscotti recipe with certified gluten-free flours. 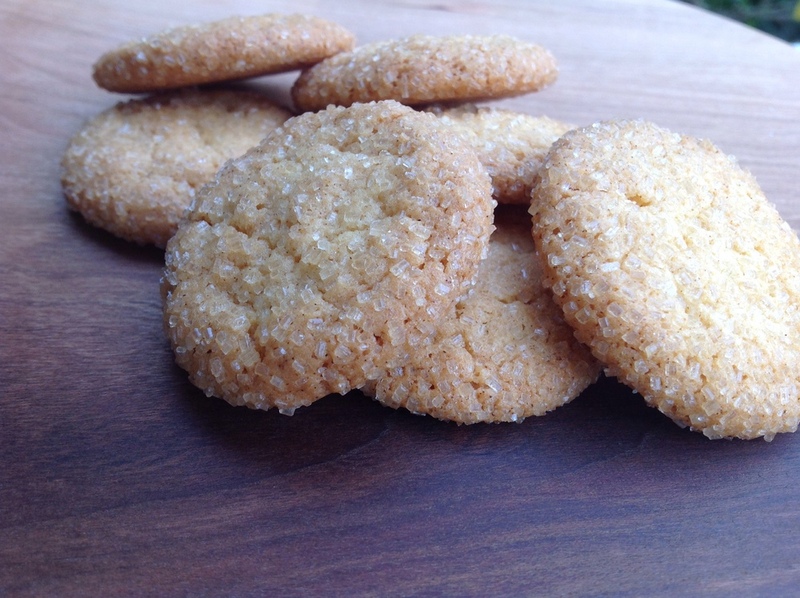 To make it vegan, we've used a Maui white sugar, not processed with any animal products. And instead of eggs and butter we've used vegan flax seed and coconut oils. In addition, our bakers apply scrupulous attention to baking protocols necessary to keep the gluten-free and vegan baking processes separate from our regular baking production. This newest addition to our biscotti product line is every bit a flavor of paradise, as tasty and delicious as the original Chococomacs. Put simply, our philosophy on special dietary versions of our products is that they must taste as good and be every bit as enjoyable as the original delicious version. No pale comparisons or second bests allowed. 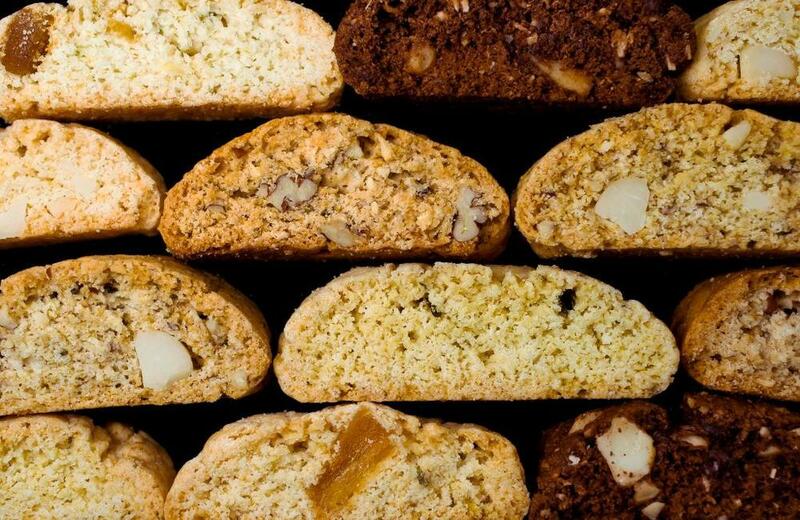 We'll be working through our other biscotti flavors and thinking about the best ones for future gluten-free and vegan varieties. Just as with all our products, we never skimp on quality, and we'll never serve anything that isn't worthy to be a flavor of paradise. In the meantime, if it's vegan or gluten-free you need, pick up a bag of our special Chococomacs version at the farmers market or order from our online shop. Also, you might give our granolas a try. They are totally vegan and wheat free. It should be noted, however, that the oats in our granolas are not from a certified gluten-free source. This is because we haven't yet identified a certified gluten-free oat supplier who meets our high quality standards. It's here! Our newest flavor of paradise - CocoNutter. A delicious blend of coconut, peanuts, and peanut butter in a crunchy biscotti biscuit. 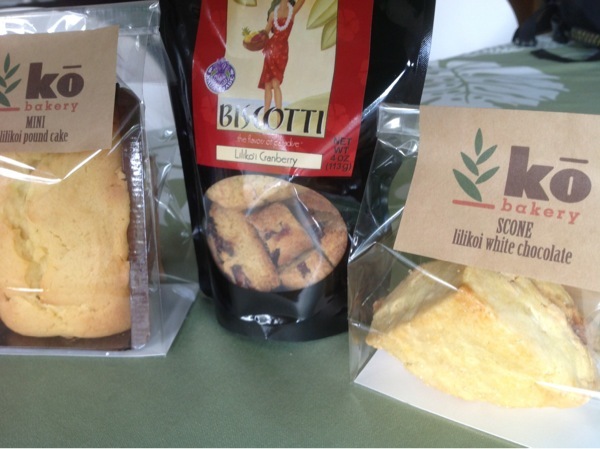 We'll have a limited supply of this amazing new biscotti at the Kauai Community College Farmers Market today. Stop by between 9:30AM and 1:00PM to pick up a bag of this dreamy new flavor. Back by popular demand, our master bakers will be putting on another exciting, entertaining, and oh so delicious cooking demonstration at today's Kukui'ula Culinary Market. Today, Chris and Morris will be showing you how to make a "CocoVaNana" pudding. This clever tropical invention is a delicious combination of Ko's Coconut Crisp cookies, pudding made from Kauai vanilla beans, and locally grown fresh bananas (and even a bit of Koloa Coconut Rum). Chris and Morris will walk you through the recipe, step-by-step, showing you how to make this amazing island infused dessert. Here's the recipe. All our demo recipes are intended to be simple desserts made from local island ingredients. They are designed to be easy and use minimal equipment so you can make them at home, or if you happen to be visiting, in your vacation rental or condo kitchen. The Kukui'ula Culinary Market runs from 4:00PM until 6:00PM, with the demonstration starting at about 5:00PM. Arrive early to make sure you get a good seat! Folks at the Saturday farmers market at Kauai Community College are some of our more discerning customers. While many are browsers looking for the right treat, some of them have in mind just what they want. More and more, we're finding these power farmers market shoppers have taste for lilikoi. We at Hula Baby and Ko are fans of the fruit as well, and at today's market, in addition to our usual biscotti, cookie, and granola products, we will be featuring a special trio of lilikoi treats for one low price. Our Saturday Lilikoi Special, available only today at KCC, is a mini lilikoi pound cake, a pack of two of our highly sought after lilikoi white chocolate scones, and a bag of our famous lilikoi cranberry biscotti. All three for only $17. These are in limited supply. So, come to the market early, because those power shoppers are sure to pounce on this lilikoi trio. The KCC market opens at 9:30 am and closes at 1:00pm. We will be waiting for you!